How Is Rose Quartz Formed? When pressure becomes too great deep in the earth, hot magma is pushed upward toward the crust. The magma makes its way through fissures and weak points in the earth's crust and often into empty pockets made of stone. The magma picks up different minerals as it travels. The further the magma rises, the more it loses its heat and gradually cools. Magma that enters stone pockets usually is trapped there as it cools. As the magma cools, it causes some elements and minerals to become purified and others to bond together. Silicon mixes with oxygen and begins to form a quartz crystal. As the magma continues to cool, the quartz crystal continues to grow as more silicon and oxygen combine. During this cooling process, if titanium is present, it will also combine with the silicon and oxygen that's forming the quartz crystals. 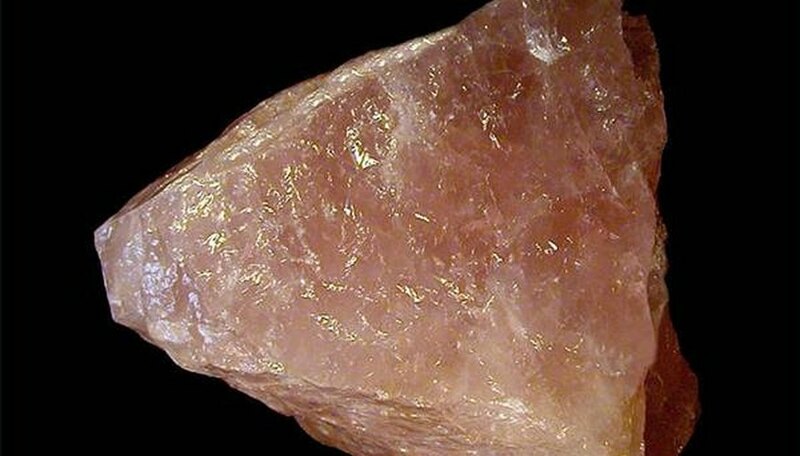 This creates an impurity in the quartz that causes a rose-colored appearance, creating rose quartz. Jones, Carlye. "How Is Rose Quartz Formed?" Sciencing, https://sciencing.com/how-rose-quartz-formed-4925386.html. 24 April 2017.